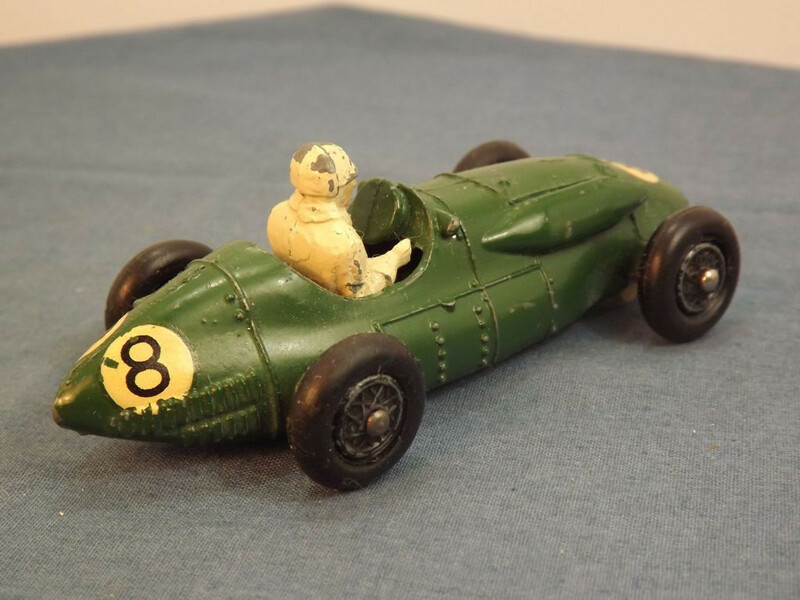 This model is the Crescent #1287 Connaught 2 Litre Grand Prix Racing Car in dark green with racing number 8. The model is a one-piece cast metal body with molded grille, air intake, exhaust system, wing mirrors, body rivets, and body louvres. It has black on white, circular racing numbers to the front and on both rear sides. There is no glazing. 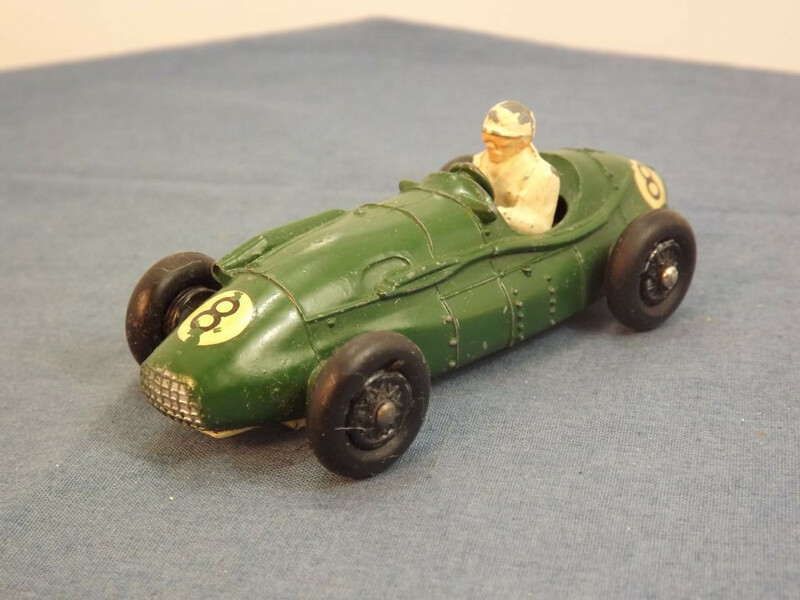 The driver appears to be cast as part of the base. This base plate is cream metal (as is the driver) and is marked with "Made in England" to the centre top, "Connaught, 2 litre G/Prix" on two lines to the centre middle, and "The Crescent Toy Co. Ltd." to the centre bottom. It is held in place by two machined rivets. 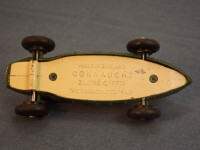 All wheels are one-piece metal hubs with a wire spoke pattern, each with a black rubber tyre, on steel domed axles. 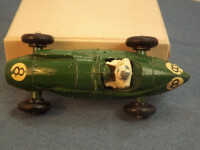 This model was issued between 1956 and 1962.